Summer is here, and some of us have been procrastinating on getting in shape for fun in the sun, or maybe are just not quite there yet. 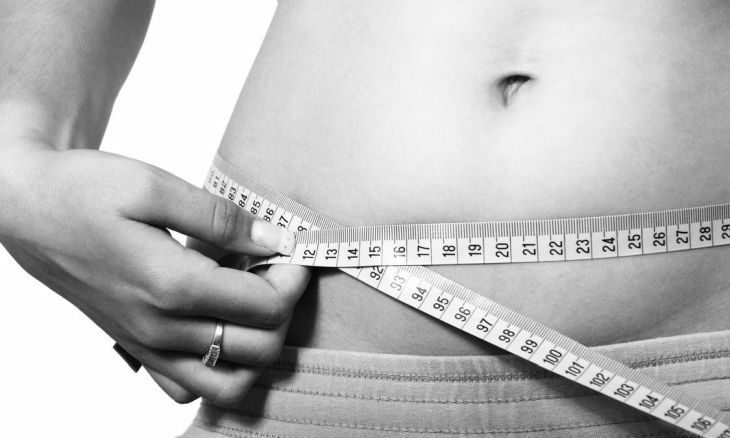 Dieting is a challenge for most of us, so it’s important to find one that is right for you. Some research suggests that choosing a diet you can stick to is more important than which diet you choose. Consistency is key, so choosing the most realistic diet for yourself is essential in reaching your goal. Not every diet works for everyone, so here are five celebrity diets to choose from to lose weight. Let the diet and fitness tips begin! 1. Hot Lemon Water: Drink it right after waking up. Many celebrities have tried this tactic — Elle MacPherson, Lauren Conrad, Beyoncé, Gwyneth Paltrow, and Miranda Kerr are a few! The diet consists of a simple daily routine: drinking a cup of warm water with at least one tablespoon of fresh lemon juice. Lemon juice is highly acidic, so the mixture of it with warm water helps digestion by kick starting it early in the morning. For even better results, drink a cup before each meal instead of just before breakfast. 2. Master Cleanse: This is an all-liquid diet. Beyoncé did a master cleanse, while incorporating cayenne lemon water into her all-liquid diet. You can also try juicing as a master cleanse. Make some at home or get some from your nearest juice bar. Juice fasting is a good way to lose weight because you can receive the raw nutrients of vegetables and fruits, and since it’s in liquid form, you digest it much easier. See the pounds fall right off! 3. Baby Food Diet: To some this may sound gross and to others, yummy. Baby food is no longer just for babies! The diet is based on eating baby food as your first two meals of the day and then eating a healthy dinner. Baby food is low in calories and is easy to digest. About 14 jars of baby food, up to 75 calories each (the less the better), should replace breakfast and lunch. For dinner, it’s your choice! To aim for a healthy dinner, just try to lay off of anything fried or high in sugar, carbs, or salt. Celebrities like Lady Gaga and Camila Alves have tried this diet! 4. Macrobiotic Diet: This strict diet is pretty famous due to Madonna. Meat, dairy, eggs, and wheat are all excluded from your meals for this diet. Other foods are fair game, like brown rice and other whole grains such as barley, millet, oats, and quinoa. The diet encourages “sea vegetables” as well. What are sea vegetables? Arame, nori, kombu, and kelp are few vegetables originating from the sea. These lower cholesterol, detoxify your body, and fights constipation and aging as well. 5. Apple Cider Vinegar Shots: Before every meal, take a shot of apple cider vinegar, measuring to around a teaspoon. Celebrities like Megan Fox have tried this diet. If you feel like you can’t take the shot neat, you can mix two teaspoons into water. If the taste is still too unpleasant for you, you can add a sweetener like honey or maple syrup. Of course, neat shots and diluting the vinegar in water are more effective. This diet takes time — you must take it consistently over a long period of time. The acetic acid has fat-burning properties that influence your fat metabolism, stopping your body from storing fat, and instead using it as a form of energy. What are some diets you’ve tried that worked for you? Share below!